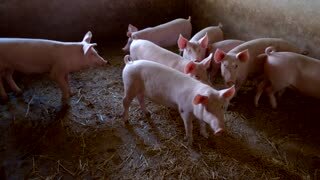 Group of pigs. Swines in a cage. Let us out of here. I smell freedom. Pigs drink milk from sow. Group of small piggies. Young animals in the barn. 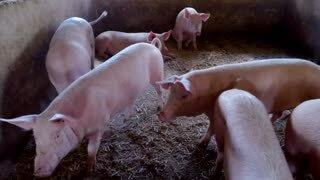 Hog breeding at the farm. Alpaca eat grass. 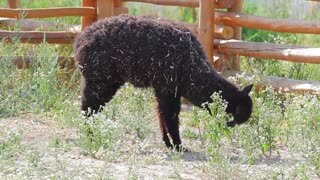 Black llama in the wild. Lamb eats grass. Sheep is chewing. Land of the farm. Cute and harmless. Earthsnake macro video. This was shot in North Texas. These small snakes are harmless. THAILAND, BANGKOK SAMPRAN RIVERSIDE, MAY 1978. Male Caucasian Tourist Talking To A Python Snake, That is Resting On His Shoulders At The Cultural Thai Village In The Rose Garden. PAGE, AZ - JANUARY 20, 2015: Steam Punk. This massive coal burning power station near Page, AZ pours out a massive amount of water, visible as harmless steam clouds.